Beyond the Sale: Are You Preparing Your Customers For a New Purchase? Radial Versus Bias-Ply: Which Tire is Best? The sun was just cresting the horizon in the tiny, rural town where I grew up. My father was already outside loading up a small, rusty cart behind an old Yamaha Big Bear ATV. Inside the cart were two large hammers, some wire and a few wooden posts. One cow escaped after a tree fell on the fence and gave the 1,200-lb. heifer enough room to leave the pasture and graze in the vegetable garden. Dad tossed some work gloves in my direction and I grabbed my bright red helmet decorated with a yellow dragon from the shelf in the barn. I jumped on Big Bear with my dad sitting on the saddle behind me. He instructed me to put my hands on the handlebars, showing me where the throttle and brakes were and allowed me to drive the ATV for the first time. Riding that ATV around the farm was a big help for us to get work done. The old, rusty cart eventually turned into a flowerbed on display on the side of the house, but that ATV is still running 20 years later. Not only are utility vehicles designed for hauling, herding and transportation, they can be fun, too. For a vehicle that is an efficient substitute for a pick-up truck or a tractor, ATVs and side-by-sides still provide the horsepower, speed and maneuverability over any terrain that one would look for in an off-road vehicle. Market research shows that ATV and side-by-side sales have been steady throughout the first half of the year and sales forecasts look positive for the remaining months of 2018. With the variety of utility aspects of powersports, it is no wonder the sales prospects are on the rise because of their function, innovation and safety improvements. Increased carrying capacities and trailering capabilities are constantly advancing and with easier preload adjustments redirecting weight to the spring, heavier loads are possible, all while maintaining control without losing traction. Winches are increasingly common on new models of ATVs and side-by-sides. Having a vehicle that is equipped with the right gear makes the workload easier. Side-by-sides have significantly improved the driver’s reach, making it easier to shift, turn on lights and check speed, all while keeping attention on the task ahead. Several new models include a GPS or have built in panels on the dash to place a GPS without fear of it disconnecting and falling out of the vehicle during a ride. When working on a farm or hunting, it is important to have a vehicle that has hauling power and a quiet ride. With advancements in electronically fuel injected engines and frames that reduce vibrations, rider comfort is a priority in the design for many OEMs. CVTech clutching is quickly replacing wet clutches, improving performance, eliminating belt slippage and increasing belt durability, ultimately making the vehicle’s lifespan longer. OEMs have taken several steps to make sure that safety is a priority on ATVs and side-by-sides. Ride control switches allow riders to alternate between modes, from carrying heavy loads to trail and performance riding, differentiating the power and responsiveness of the vehicle to the task. OEMs have significantly improved rider safety with the addition of safety nets and seat belts to keep a rider in place to prevent injury in door-less side-by-sides. Of course, a rider is safest when they combine seat belts, safety nets and DOT-approved helmets and riding gear. 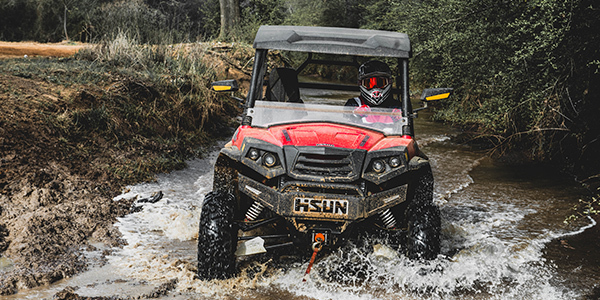 Whether it’s making repairs on a farm, prowling the game lands or enjoying an outing to the lake on a hot summer day, an ATV or side-by-side is the perfect vehicle to keep up with riders and their workload. 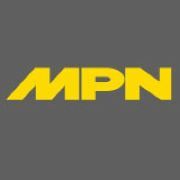 Look out for new updates on utility vehicles as 2019 approaches; there is a lot to look forward to on the horizon.